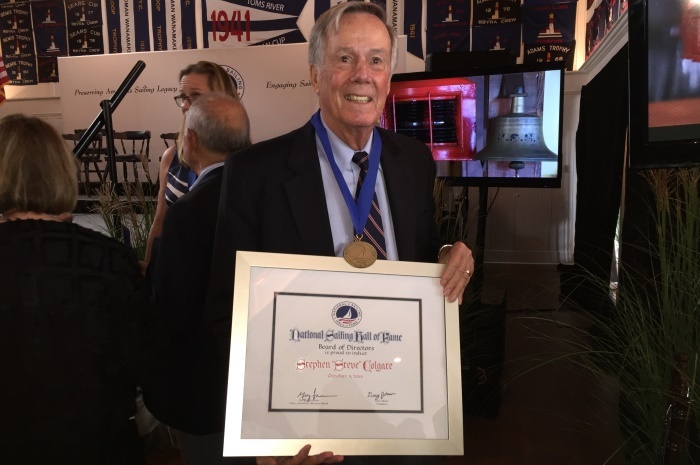 Colgate, was inducted into the National Sailing Hall of Fame during a week-end celebration at Bay Head Yacht Club in Bay Head, NJ. 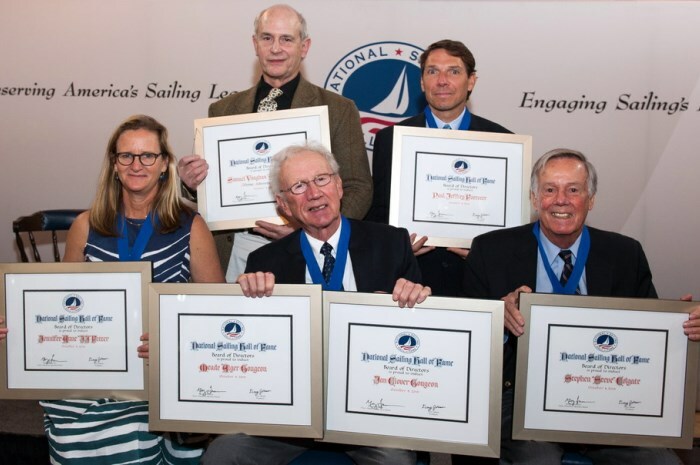 Only six new inductees were honored this year, bringing the total to 48 of the sport’s most extraordinary sailors. The weekend started with a panel discussion for young sailors at Toms River Yacht Club on Saturday morning, where former inductees Betsy Allison and Peter Harken were joined by 2015 inductees Steve Colgate, Meade Gudgeon, JJ Fetter and Paul Foerster. Following the Toms River Yacht Club event, the group moved back to Bay Head Yacht Club for another panel discussion, and an impressive dinner in the club’s historic dining room. On Sunday, the Colgates were joined by friends from New York and New Jersey at a lavish brunch, followed by the induction ceremonies. 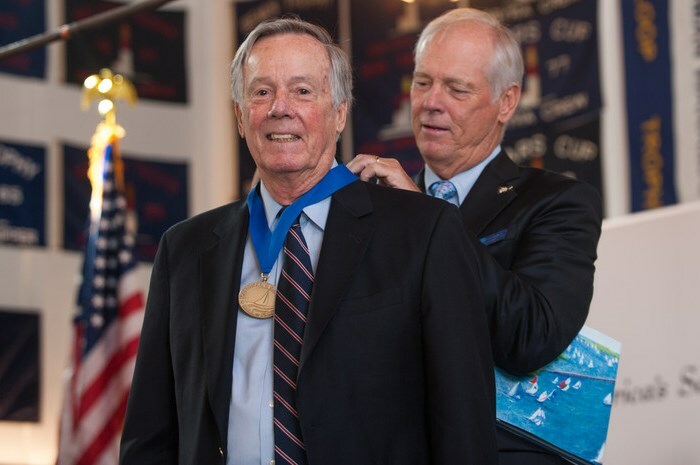 NSHOF president, Gary Jobson, a noted author, sailor and sports commentator, emceed the event and introduced Steve Colgate. As noted on the Bay Head Yacht Club website, the Class of 2015 has pioneered advances in boat design and construction, introduced the sport to thousands of new sailors, raced on water and ice and earned a total of 12 Olympic medals. In accepting his medal, Colgate spoke of the skepticism his family displayed when he told them he was going to start a sailing school. “It took a while, but they finally realized teaching sailing was a “real job’!” he explained. Colgate competed in the 1968 Olympics in the 5.5 Metre class, has sailed in many TransAtlantic, Fastnet, Sydney-Hobart and other long distance races and one-design class championships as tactician and helmsman; and has a long roster of other sailing achievements. Most impressive are the 51 years he has owned and run Offshore Sailing School with his wife, Doris, introducing more than a 130,000 graduates to the sport and lifestyle of sailing. Read more about the Ceremonies and Inductees here. Take a course at Offshore Sailing School and find out how much fun this amazing sport will add to your life. Call 888-454-7015 or email Sail@OffshoreSailing.com to learn more.